MAIL MANTRA SOFTWARE PVT. LTD.
Mail Mantra provides Binary MLM Software which is well known in eastern India including Kolkata. We know that Binary MLM Software is a very popular MLM business logic associated several business plan to penetrate the market fastest way. 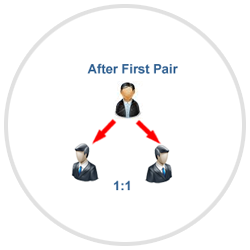 Our Binary MLM Software can be implemented in different kind of business plan like Normal Binary MLM Plan, Reserve Binary MLM Plan which is most popular in binary as 2:1 or 1:2 first binary and 1:1 from next pair matching till unlimited depth with a calculative capping in a time range. 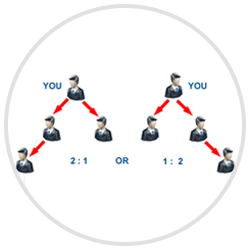 Some other binary mlm plan is also popular in MLM business like Business Volume (BV) and Point Value (PV) where left and right wing may have one or multiple people as uni level structure but calculation process is whole left and whole right wing business volume altogether in closing time. You can pay through Cash / Cheque / Paypal / Western Union, please mark a mail to admin@mailmantra.com with all your package/payment details for the timely execution of your package. Copyright © 2011 MAIL MANTRA SOFTWARE PVT. LTD. All Rights Reserved.